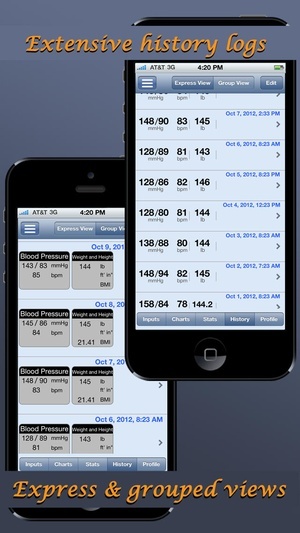 Blood Pressure Monitor Family Lite turns your device into a personal blood pressure and weight health monitor. 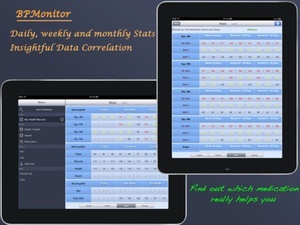 It comes with lifetime data visualization, statistics reporting, medication correlation, email import/export, builtin reminders and much more. This is an app with a lot of features. 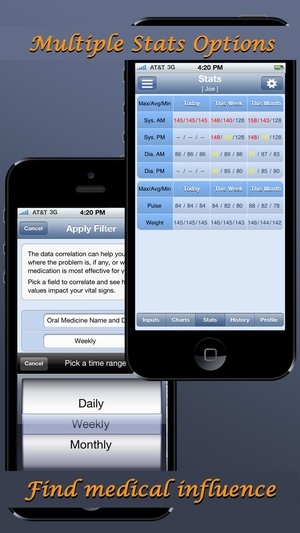 Comprehensive data collection have you ever wanted to have a single app to track all of your health and medical readings? This app is designed for you. 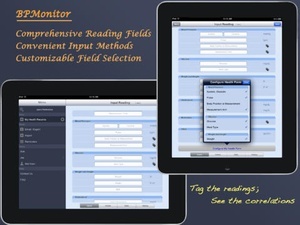 Comprehensive reading input fields collection (upgrade may be necessary) Customizable input data form Simplified user interface Optimized keyboard input Medication correlation have you ever wanted to find out how your vital signs change according to different medication you take? How your blood pressure differs on two different arms? 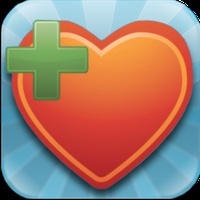 This app is designed to help you find out Both oral and injection types of medication tracking and correlation Left/right arm tracking and correlation for blood pressure measurement Body position tracking and correlation for blood pressure measurement Meal type tracking and correlation for glucose measurement (upgrade needed) More to come. Let us know what you need to correlate! Data visualization a chart is worth a thousand words. 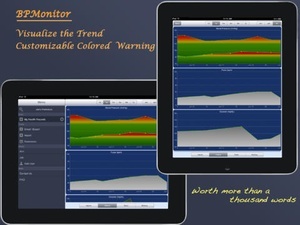 The graphical charts not only give you a visual trend of the vital signs, but also show warning signs only). 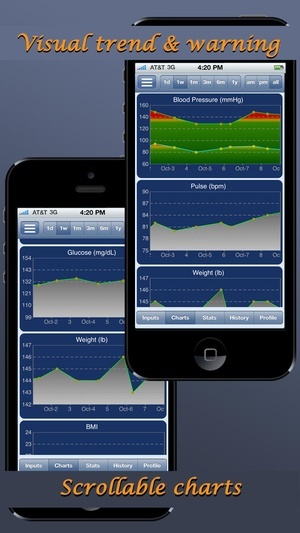 All vital signs are graphically presented No time limitation Swipe to scroll chart to reveal more data history Optimized chart drawing performance Data Sync seamlessly automatic data synchronization among different iOS devices. 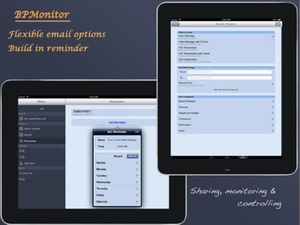 enter once, view on any devices (iOS only for now) make the cloud work for you an active account is required (free to create) Email Import/Export simple yet versatile email/export feature lets you communicate with your healthcare provider at a breeze. Multiple export formats plain message) to choose from Selectable From/To date range Selectable vital sign category to export Charts included in emails and files Flexible format recognition during import Friendly import instructions and feedback messages Lots of other bells and whistles Dual mode history reading views, express for quick browsing and grouped for complete revisiting Builtin reminder, never miss a check up time and seamless integration with iOS 5 reminder app Multiple user accommodation, one app to track the whole family (upgrade needed) Adjustable noon time hour, making more meaningful, even for “night owls” Adjustable warning threshold values only) Dual units support, and metric Note this app does not drive any medical measurement device. All inputs have to be entered. 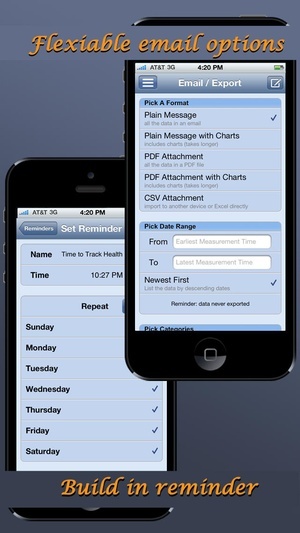 Check these links to find your download for Blood Pressure Monitor for & iOS or for your device iPhoneiPod TouchiPad. 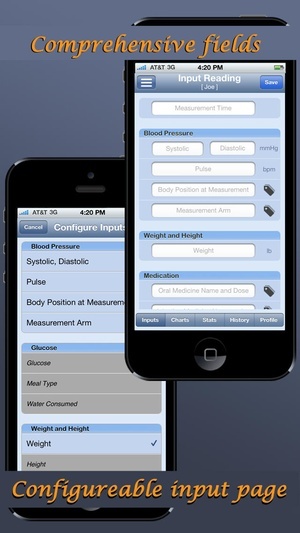 The app Blood Pressure Monitor is compatible with te following devices.